58 years later, the measure of a man still holds. The bridge that spans the Charles River and separates the Cambridge campus of MIT from the city of Boston is officially called the Harvard Bridge. We locals tend to call it the Mass. Ave. Bridge or the MIT Bridge. One bridge, three names, we’re a complicated people. The four-lane bridge is 660 meters or 2,165 feet long. But 58 years ago, in 1958, a group of freshmen MIT frat brothers came up with another way to measure the bridge — the Smoot. They based their new unit of measure on the height of the then 18-year -old Oliver Smoot, Lamda Chi Alpha’s shortest pledge that year. He measured in at 5 feet 7 inches, and they used his body as a yardstick to measure the bridge, marking it in paint along the way. The bridge came to 364.4 “Smoots” plus or minus one ear. Smoot, who is retired and living in San Diego, said he and the other pledges laid his body out on the bridge over and over, marking every 10 Smoots with a painted line and a number, until they reached the other end. The pledge master in 1958 was Tom O’Connor, and according to Smoot, the new pledges would line up at the end of the dining room table at the fraternity house at 447 Beacon Street every Wednesday night to discuss the lessons they’d learned from the week before. And the master would give them new tasks for the week ahead. It was O’Connor, says Smoot, who declared that the task for the first week of October would be to measure the bridge. 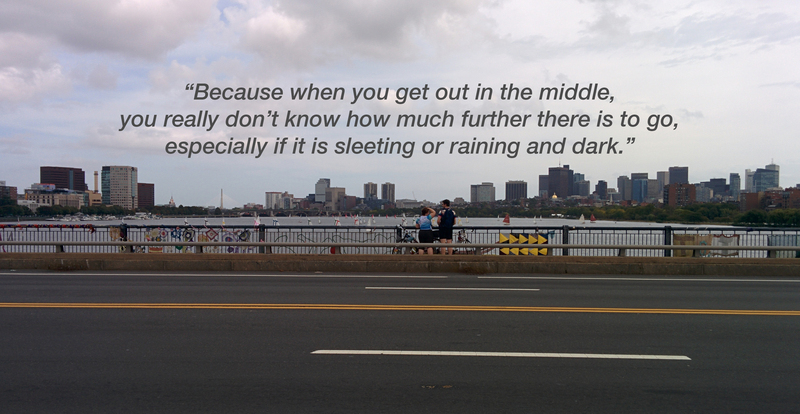 “Everybody walked to and from MIT at least once a day and that’s the reason Tom wanted us to measure it,” said Smoot. But why not just measure Ollie Smoot, and then make some sort of stick or measuring tape the exact length of Smoot, and use that to measure the rest of the way, instead of making him get up and down and up and down roughly 364 times? Ollie Smoot and his unique unit of measure have received their fair share of media fame over the years. Public radio’s Robert Krulwich took a look at the Smoot in 2011. The Associated Press marked the 50th anniversary of the Smoot in 2008. Even People magazine did a featureon saving the Smoot in 1989, when the Harvard Bridge was slated for repair and the days were numbered for the markers on the cement.And in 2005, when Smoot retired (more on this in a minute), NPR’s “All Things Considered” interviewed him, as did the Washington Post. All the coverage seemed to mention the measure of the bridge as 364.4 Smoot, plus one ear.But the plaque on the bridge says plus or minus an ear. What gives? 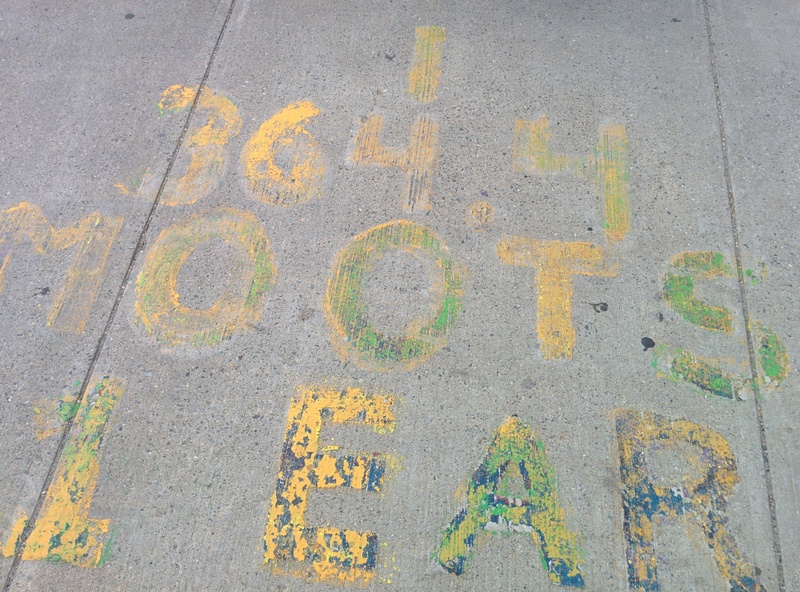 “That’s the primary reason that I realized that, in my mind anyway, you should never rely on people’s memories for things, because for a long time I thought we had painted ‘364.4, plus or minus an ear,’” said Smoot. Ollie Smoot graduated from MIT in 1962, and went on to law school at Georgetown. He got married in 1964, started a family, and didn’t really think about the MIT stunt until 15 or 20 year later, when a reporter fromHoliday magazine called him to ask about it. “I said to him, ‘Oh, you mean this was still there?’” recalled Smoot. He went on to work for the DC trade group Information Technology Industry Council for more than two decades. In the early 2000s, Smoot was the chairman of the American National Standards Institute (ANSI), a group which advocates for standard units of measure and guidelines, until his retirement in 2005. I know what you’re thinking, because I thought it too—But he insists the measurement of the Harvard Bridge at age 18 had nothing to do with his later career in standards. “It was a matter of jokes every once in a while at a board meeting, but it certainly had nothing to do with my getting involved with ANSI,” he says. “It just was just something anecdotal.” Okay. Recently, I visited the halfway mark on the Harvard Bridge, which reads “Halfway to hell” and includes an arrow pointing toward MIT, to talk with joggers, walkers, and MIT students about the Smoot. Webb, a current MIT electrical engineering student, told me today it’s something all MIT students are told about on campus tours, and is part of the lore of the school. Maybe that’s the greater lesson of the Smoot — our units of measure are just arbitrary things someone made up a long time ago. And they can change. For example, according to NPR, the kilogram is based upon some old official metal cylinder in Paris, which has been changing over the years. A kilogram of yesteryear was just a little bit heavier than it is today. So the Smoot, it’s based on a guy, a living being that can grow and shrink over the years too. Is Smoot still, well, a Smoot? 58 years later a Smoot is still a Smoot. 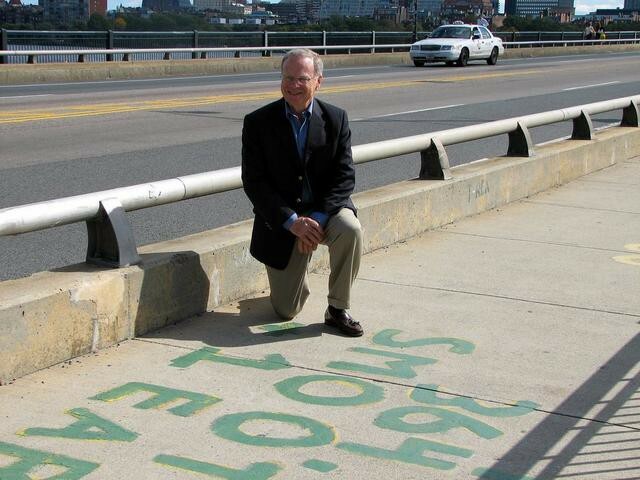 Each year new pledges return to the bridge to repaint the markings, continuing to mark the measure of Ollie Smoot, class of 1962. And the numbers and lines endure as a reminder of the arbitrary nature of measures, and of the lasting impact of the silly things we do in college.